You’ve spent lots of time gathering customers, but how do you keep them? The pitfall for many companies is that they don’t know how to hold customers. Since it is obvious that having a great number of customers is a good thing, why don’t companies focus on keeping them? What are the real advantages of keeping your customers? Reports state that the cost of keeping an existing customer is around 10% of the cost of acquiring a new one. So, economically it is smart to retain customers. Installing and keeping a good retentiveness strategy will also lead to increased customer revenues, as the longer the relationship, the lower the account maintenance will cost. There are other benefits associated with fostering a long-term relationship with customers, including the fact that long-term customers are more likely to recommend your business to others via a verbal referral, they’re more likely to purchase additional products from you and if they’re completely happy with your service, they would not even think about switching to your competitor? If your business has good customer relations and your people are loyal and satisfied, then you have a happy workforce, with ever-increasing job satisfaction. If your customer has been loyal to your company for some time, he or she will require less help and have fewer problems to deal with. Obviously there are a great many benefits to keeping and retaining your current customers. Most customers know how to get the best deal and will definitely go to a competitor if you don’t give them what they want. Well, there probably isn’t just one particular method that you can rely upon. The most obvious and equally most common sense approach is to provide your customers with great customer service in which you do whatever you promise and be consistent in your efforts. Customers do remember what you tell them and that is important to keep in mind. They will remember that you remembered. Trust goes a long way! You have to only promises you can and will keep and be consistently willing to provide whatever the customer demands. And you must do it better than any of your competitors. Make a concerted effort to keep your staff on top of their responsibilities toward customers. Good employees are critical to the long-term success of your customer relationships. Encourage your customer representatives to develop personal relationships with customers so that there is a definite connection between them and your customers. That is an important and often overlooked benefit of customer service that is well done. 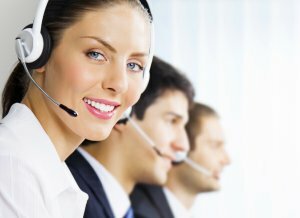 A good customer service representative will take time to listen to customers and customers not only will remember that, but they will talk about the experience. Listening to your customers is one very clear indication to them that you care about what they have to say to you and your customer. Then after listening to customers, follow-up on whatever was promised so that you can then reinforce just how important your customers are to you and your staff. Your actions will speak clearly to your customers that you have their best interests in mind. Doing these things will keep you and your company far ahead of your competition in the minds and hearts of your customers. The best I found as that you should make your customers aware that you have their interests in your mind. Retaining customer in today’s world is really a big challenge because loyalty is replaced by the price war from competitors and marketing. That is very true, Jessica. The sad thing about your statement is that customers are partially responsible because they follow the trend. Marketers will adjust their approach when customers require it. An absolutely essential part of keeping a business going is maintaining your customer base. Keep these customers happy and word of mouth will ensure that your business grows. Satisfied customers are the most valuable asset a business can have. I enjoyed reading this post. I have noticed in my business the cost of a new customer is quite higher than doing business with a current customer. After reading this article, I am going to put a program in place to keep my customers happier and as a result, they will do more business with me. Thank You for the insight. You are quite welcome. An already acquired customer is much more valuable than one who has yet to be obtained.